Clint and Irene Davy operate Gibsons Wildlife Rehabilitation Centre, located near Gibsons on the Sunshine Coast of B.C., on their 1.6 acre property. They have converted one room in their home into a bird hospital area. Outside there are various aviaries, including one 60 ft x 25ft with a pond and a garden shed where the birds can go at night. Hidden in the woods at the back of the property is a “squirrel house” where orphaned squirrels go prior to being released to the wild. Clint and Irene have over 30 years of wildlife rehabilitation experience and have received a Queen Elizabeth Diamond Jubilee Medal for their wildlife rehabilitation efforts. They work closely with veterinarians and are members of the Wildlife Rehabilitators’ Network of B.C., the International Wildlife Rehab. Council and the National Wildlife Rehab. Association. They have both previously been active Board members of the Wildlife Rescue Association of B.C. and OWL (Orphaned Wildlife) Rehabilitation Society for several years. 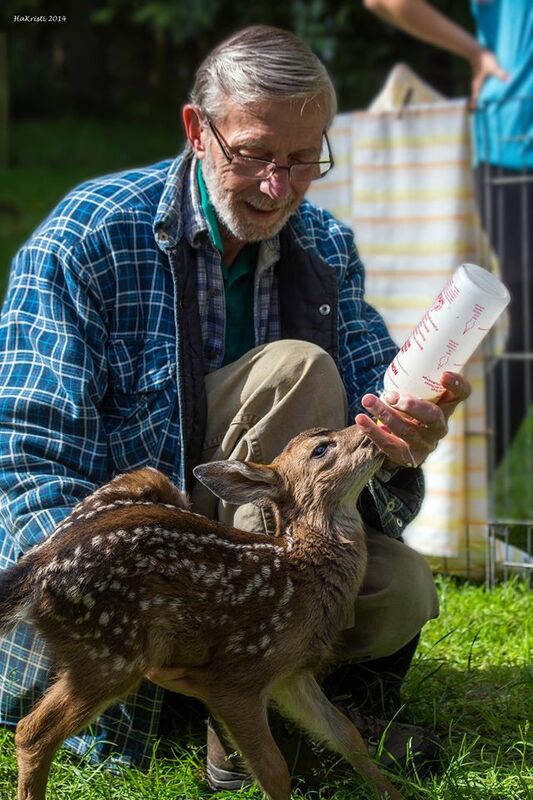 Each year many distressed wild animals and birds are brought to the centre to be cared for by Clint and Irene and their team of volunteers. Although the centre now has part-time staff members, it would not exist without the help of many volunteers. The Centre has admitted birds as small as nestling hummingbirds and as large as mature bald eagles. They have also taken into care bats, squirrels, raccoons, fawns and seals. After initial assessment and stabilization, seal pups are transferred to the Marine Mammal Rescue Centre for more specialized care and bear cubs are transferred to Critter Care Wildlife Society. On occasion, birds of prey needing extended or specialized care are transferred to OWL (Orphaned Wildlife) Rehabilitation Society in Delta, B.C. Although Gibsons Wildlife Rehabilitation Centre has Federal and Provincial Permits to do wildlife rehabilitation work, we receive no regular Government funding. We operate solely on donations (which are tax deductible) from the public and some businesses.